Horrible bosses and nasty colleagues? You could have met them in a past life. Client regressed to her past lifetime in USA. An influenza epidemic forced him to move to another town and start anew. He started as a cobbler and later became a rich but greedy businessman. He died poor and alone after being cheated by business partners, whom client recognised as her ex-colleagues in the current life. She learned a lot of life lessons from viewing this past life. I see very green grass. It’s very windy. I see a tree. I’m holding a gun, which is smaller than a rifle. I’m wearing a cowboy shirt and a cowboy hat. I’m helping the sheriff. There was a bank robbery. Four robbers ran to the jungle. They hid there. I went to the jungle with the sheriff. We could not find them, so we had to go back. The bank is a white building made of wood, standing by itself. It is one storey tall. There are no cars there. People are walking. The sheriff has a horse. The town is empty, due to influenza. Many people died. Many people left the town. It is in San Diego. People are packing and leaving. I’m walking on the street. There’s no one at the police station. I wanted to hire a carriage to travel in. The carriage was there but there was no one there. I had to walk. I went home and packed. I have a wife and a daughter. We walked with other villagers from another village. We don’t know where to go. We just follow where everyone else is going. Everyone is walking on the road. We tie our clothes like a big pack, with a rope around it and carry on the back. Some people made a wheeled contraption and they are putting some of their stuff on the top. The rich ones have horses and they left earlier. Me: How did this influenza come about? One of the villagers came back from another village. He had his business there and he came back with flu and spread to people. He had fever and died. Then his all his family died. After that, others had the flu. I arrived at a new town. I told them I could mend shoes. I have leather pieces with me. I took up a job there. My new house has an apple tree. I see my daughter picking apples. I recognise my boss as my ex-boss in the current life. He owns the shoe making shop. I work for this shoe shop. I do mending only. I sell the leather pieces to him. I have a lot of leather pieces with me, which I brought along from my previous town. My boss is very stingy. He pays me very little. I fought with him. I want to punch him. My leather pieces are of very good quality, but he pays me very little for it. I don’t like him. He chased me out. I was mending shoes for people outside the shop, and he chased me away. He didn’t pay me. So, I left. I decided that I would do it on my own. I own a shop now. 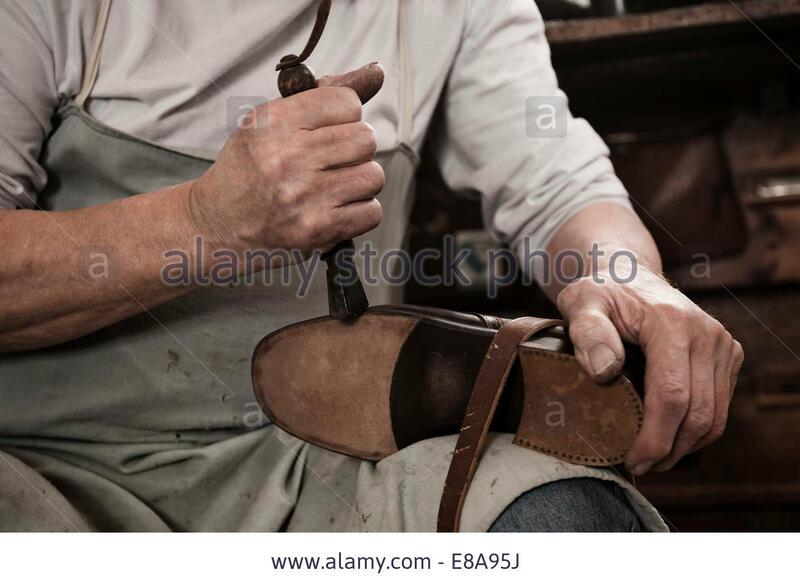 I’m a cobbler. My daughter is married by now. Her husband, my son in-law works with me. I recognise him as my cousin in the current life, who is in primary school. He’s very smart. He can help me to manage my shop. I like him. My wife wears jewelleries. She is very rich because I’m now rich. I buy leather pieces from another town. I travel for business. I have my own carriage. My shop is called Leigh’s cobbler. I have a white building, three stories high. I’m very rich. I live in New Jersey. I have a second wife. My second wife’s father is a banker. I’m wearing a tall black hat and boots. I’m holding a stick. I’m old walking on the street with a pipe, smoking. I have a thick moustache. My second wife is very young. I had expanded my business to another town. I still have my cobbler business and other businesses. I’m a merchant. My first wife is in another town. I can’t go back to my first wife. She hates me. My daughter hates me because after I became rich, I never took care of them. I feel sad. My second wife left me. I’m poor. I became bankrupt. I got cheated of a lot of money by my business partners. They are laughing. They want my business. Also, I had wanted to be mayor. I got very rich and became greedy. I was too hungry for power. I competed, but I didn’t win because I wasn’t the richest. I got cheated by politics. Now, I’m sick in the hospital. Everyone left me. I’m alone in the hospital. I cough. The doctor says my lung is not good. Another doctor says its pneumonia. They quarantined me. They are going to leave me here to die. They don’t allow people to see me. They put me into a dark room. They said it cannot be cured. They say it is dangerous and will spread to people. No one was allowed to come near me. No medical staff attended to me. I’m alone in the dark room. I feel scared,…sad. I also feel anger… Anger with people. When I was rich, they came to me. When I’m bankrupt and ill, they all stayed away from me. I feel regret. I wish that my first wife and my daughter are here. I had left them for the second wife. Now, in my darkest hour, I see everyone walking away from me. I’m alone. The year is 1955. I was 63 year old. I recognise my business partners as two of my ex colleagues. They had also betrayed me in the current life when I first joined the company. They had cast aspersions on my credibility and tried to get me into trouble. © Life Inspirations 2004 - 2018. Picture Window theme. Powered by Blogger.